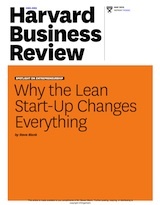 In his Harvard Business Review article summing up his tenure, Immelt recalls that the two things that influenced him most were Marc Andreessen’s 2011 Wall Street Journal article “Why Software Is Eating the World,” and Eric Ries’s book The Lean Startup. Andreessen’s article helped accelerate the company’s digital transformation. GE made a $4 billion bet on connecting industrial equipment via the Internet of Things (IoT) and analytical software with a suite of products called the “Predix Cloud”. 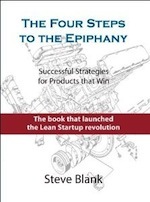 In response to reading Eric Ries’s The Lean Startup, GE adopted Lean and built their Fastworks program around it. Beth Comstock, GE vice chair responsible for creating new businesses, embraced the lean process. Over a period of years, every GE senior manager would learn the Lean Startup, and GE would be the showcase for how modern companies use entrepreneurial management to transform culture and drive long-term growth. In June 2017, the board “retired” Jeff Immelt and promoted John Flannery to CEO. Since then Flannery has replaced Immelt’s vice chairs responsible for innovation. Beth Comstock is out. So is John Rice, the head of Global Operations along with CFO Jeffrey Bornstein. Instead of lean innovation programs, there is a mandate to cut $2 billion in expenses by the end of next year, lift profits and raise the dividend. During Jeff Immelt’s tenure GE’s stock-market value fell by about half. Its stock is trading where it was 20 years ago. So far in 2017, GE is the worst performing stock on the Dow Jones Industrial average. In 2015 Trian Partners, an activist investor, bought $2.5 billion of GE stock – about 1.5% of the company. The firm wrote a white paper, “Transformation Underway… But Nobody Cares” which essentially said that GE stock was undervalued because investors didn’t believe that Immelt and GE management would do the things needed to deliver a higher stock price and dividends. Take on $20 billion in debt (returning the cash to shareholders by buying back GE stock). Increase operating margins to 18% (by cutting expenses). Buy back more stock than the $50 billion stock purchase plan GE already had in place. And now Immelt is now the ex-CEO, and Trian Partners just a got a seat on the GE board. The “corporate raiders” of the 20th century have rebranded themselves as “activist investors” of the 21st. With refrains of “unlock hidden value” and “increase shareholder value,” and powered by over $120 billion in assets, activist investors like Trian look for companies like GE (or Procter and Gamble) that have a share price which is underperforming relative to its peers (or those with large amounts of cash on their balance sheets). They then buy stock in these public companies and attempt to convince management to increase the price of the shares. After the dot.com crash in 2001 and the financial crisis of 2008, traditional investors who previously held their shares for the long-term — public pension funds, institutional investors and money managers — are now more interested in short-term gains. This means that company boards who used to side with management no longer automatically protect them, and as Jeff Immelt discovered, may even side with an activist. Activist investors have a simple goal: increase the value of their investment. But first they need to get management of a company to change their existing strategy. To do that, they start with an implicit (GE) or explicit (P&G) threat of a proxy fight for a seat on the company board. Next, they make a public presentation to management — like Trian’s “Transformation Underway… But Nobody Cares” — explaining what actions they think the company should take to increase the price of the stock. Next, they use the financial press and blogs to spread their message to the institutional investors. If that still doesn’t work, they can start a proxy fight and try to gain control of shareholder votes so they can replace the board — and ultimately the company management. If their campaign is successful, like Trian’s was at GE, they’ll have a seat on the board and a new CEO and management. They’ll have GE execute a playbook to increase the value of their investment: share repurchase programs, increased dividends, and, to reduce expenses, layoffs, factory closings, spin-offs of profitable parts of the company, sell-offs of the least profitable divisions, and asset stripping. And as Trian’s presentation suggests, they’ll get GE to take on more debt to buy back stock. And often they calculate that selling the sum of parts is greater than keeping the company together as a whole. Or they may even put the entire company up for sale. There is an upside to an activist investor taking a run at a company. 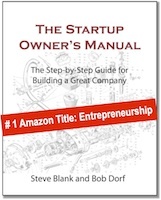 It’s often a cattle prod to a stagnant company, or one ignoring disruption by new startups. GE’s gross margin was 21% last year, compared with 28% at United Technologies and 30% at Siemens. At a minimum, as is happening to GE now, it forces a company to go through a review of its strategy. (At GE the biggest problem in 2017 was major revenue misses in their Power business.) The new GE CEO is focusing on a back-to-basics approach to the business: dramatically reducing expenses, with the visible symbols of getting rid of company planes, company cars, and delaying a fancy new headquarters, etc. The bad news is once they take control of a company, long-term investment is not the goal of an activist investor. They often kill any long-term strategic initiatives. Often the short-term cuts directly affect employee salaries, jobs, and long-term investment in R&D. The first things to go are R&D centers and innovation initiatives. But GE’s core businesses don’t have the scale of those online businesses. No innovation program, lean or otherwise, would have helped the dismal performance of their Power segment. Companies and government organizations are discovering that innovation activities without a defined innovation pipeline results in innovation theater. And an innovation pipeline needs to be driven with speed and urgency and results measured by the impact on the top and bottom line. In hindsight, GE Fastworks wasn’t the problem at GE, and while the Predix Cloud has had a painful birth, GE’s investment in the industrial Internet of Things (IoT) and lean will pay off in the future. But the impact of future innovations couldn’t compensate for poor execution in its traditional businesses. GE’s board was not happy with their margins, stock price, and how Wall Street viewed the future of the company. The immediate threat of a proxy fight with an activist investor forced a decision on the future direction of the company.